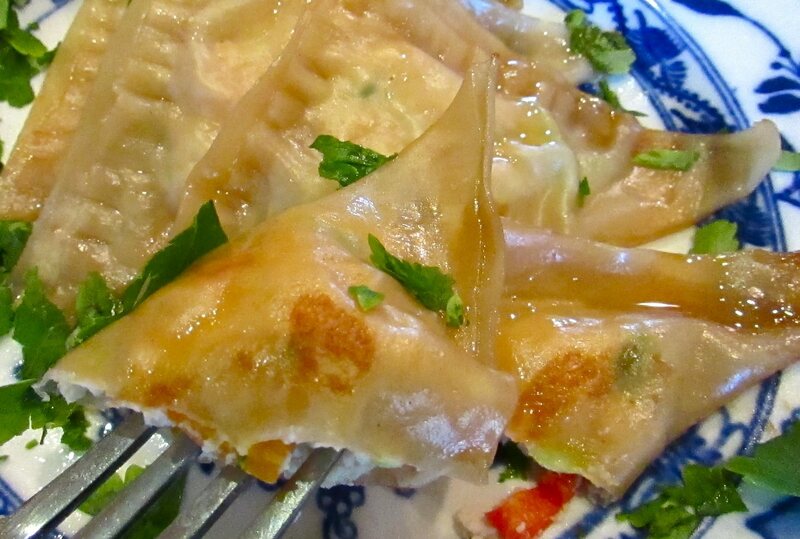 Everybody wins with satisfying chicken pot stickers. Today’s foodie treat is something for the health conscious Super Bowl fan! What?!? Using the words ‘health” and “Super Bowl” is the same sentence is blasphemy! I consider these pot stickers healthy because they are NOT fried, covered by cheese, or swimming in any kind of artery choking sauce. Now don’t get me wrong. I do like tasty fried foods covered in cheese and/or sauce but as I am watching my weight right now, I went straight to my favorite go-to low fat/low calorie snackie that, even in all it’s own reduced fat glory, fits in at a party. Because on a diet there’s one way I really, really don’t want to feel, and that’s deprived. This is an oldie but a goodie. It is not my original recipe but comes from a lady you may have heard of…wait for it… Betty Crocker. It’s the 1997 “New Choices Cookbook” published by Macmillan. Over the years I have tried several recipes out of this cookbook and the ones I tried, I deem very good, for a dieting cookbook. 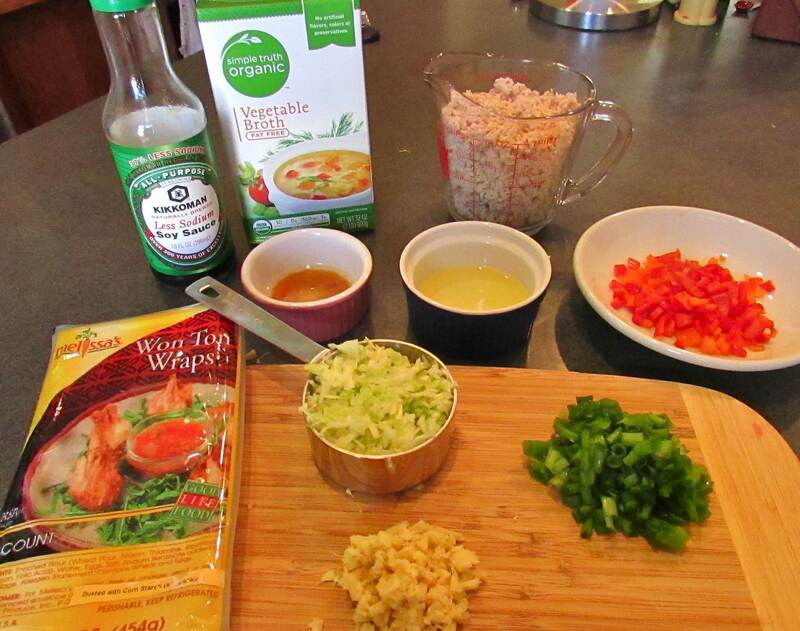 Every recipe includes nutrition information, including these pot stickers, which should have about 125 calories, 4 grams of fat (only 1 gram saturated fat) and 11 carbs per 3 pot stickers. Now I could easily eat 3 or 4 times that many pot stickers. Yes, one could, but that defeats the purpose of eating better, right? So 6 pot stickers would be still be healthier and less fattening than 6 chicken wings (half the calories, 1/5 the fat and less than half the carbs). And these actually taste really good – light but satisfying. If hot-n-spicy is your thing feel free to add some red pepper flakes to the filling, or stir some Sriracha sauce in with the broth and soy at the end. Leftover rotisserie chicken is a great option for these pot stickers, making them both economical and a snap to prepare. And because they freeze beautifully, it’s no muss, no fuss. Check out that ‘do… perfectly coiffed thanks to a good dim sum steam’in! 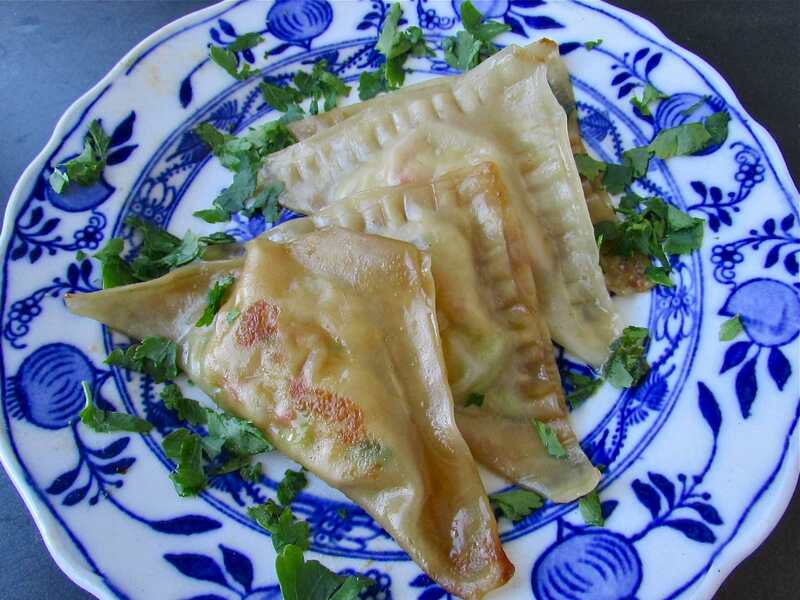 I also love pot stickers because they remind me of a scene from the 1980’s movie, “Working Girl”. 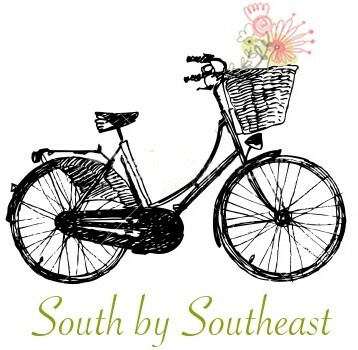 The main character, Tess, suggests that her boss serve trendy Chinese appetizers that she read about in a magazine, at her upcoming cocktail party. Her boss loves the idea and the next shot shows a high heeled, exhausted Tess dutifully offering dim sum from her steaming cart. 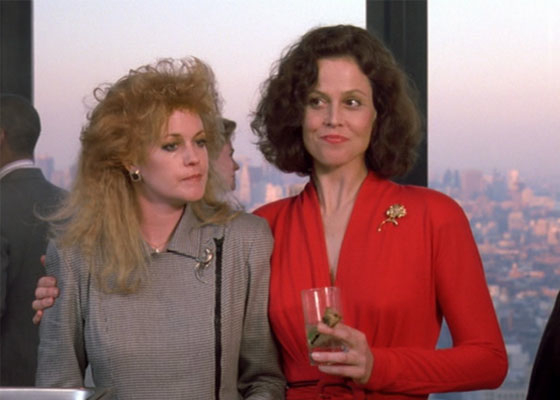 Her big ‘80s hair is so huge and frizzy it should get it’s own cast billing. Ahh, those were the days…just kidding! Enjoy Superbowl weekend and may your favorite team win! The ingredients, well except I left out the Mirin. Oops. Once you get all the parts prepared, the filling goes together in a snap. 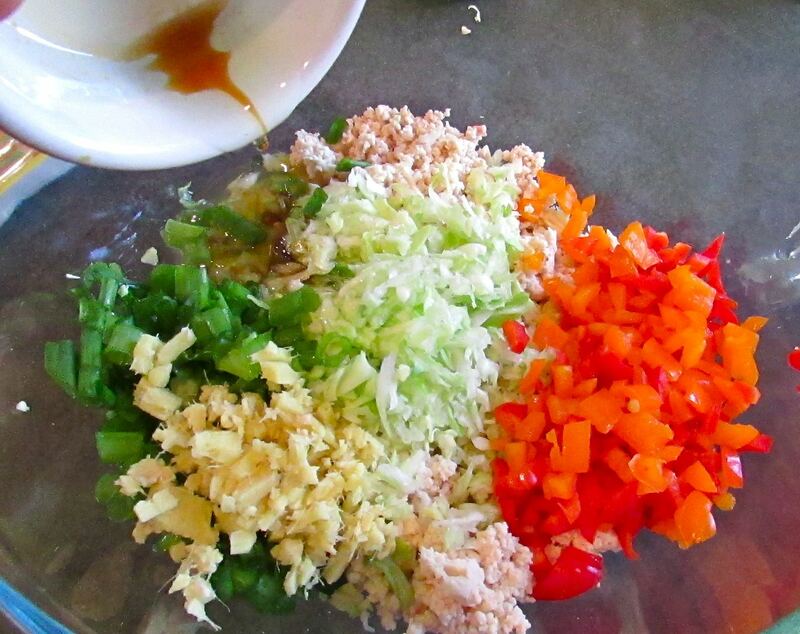 Lots of fresh, colorful ingredients too. Brush each wonton with a bit of water, to help it stick together. Spoon a teaspoon or so of the filling in each wonton. 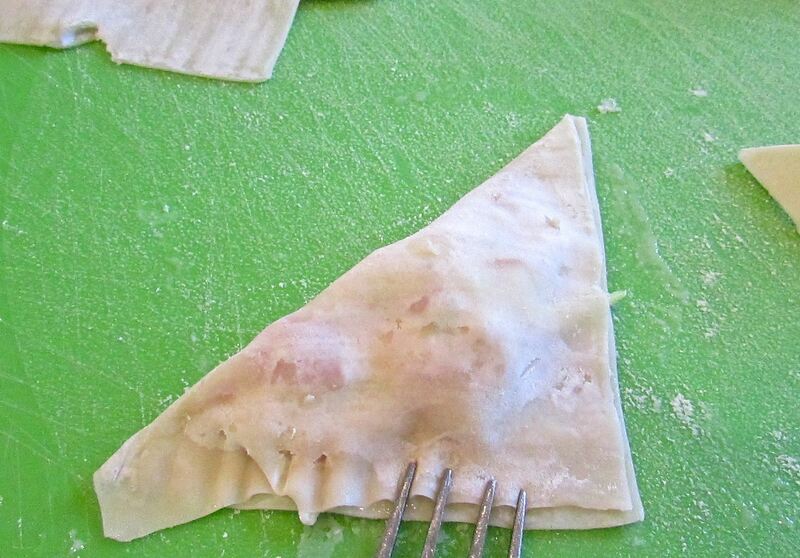 Fold the wonton over and press the edges together, seal with a fork. Get to work! There are pot stickers to make. Grab a friend and make a bunch at once – they freeze beautifully. Brown the pot stickers in batches. Cover the pot stickers and allow to steam a bit, then uncover and they’re ready! These tasty bites fattening but they’re not! Life is good! Line cookie sheets or jelly roll pans with parchment paper. Mix first 8 ingredients in a large bowl. 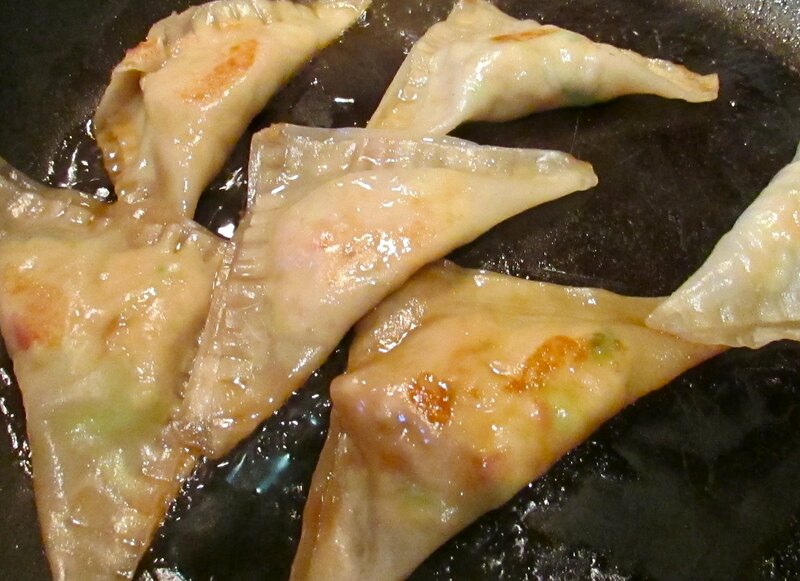 Make pot stickers by brushing about 6 wonton skins with water. 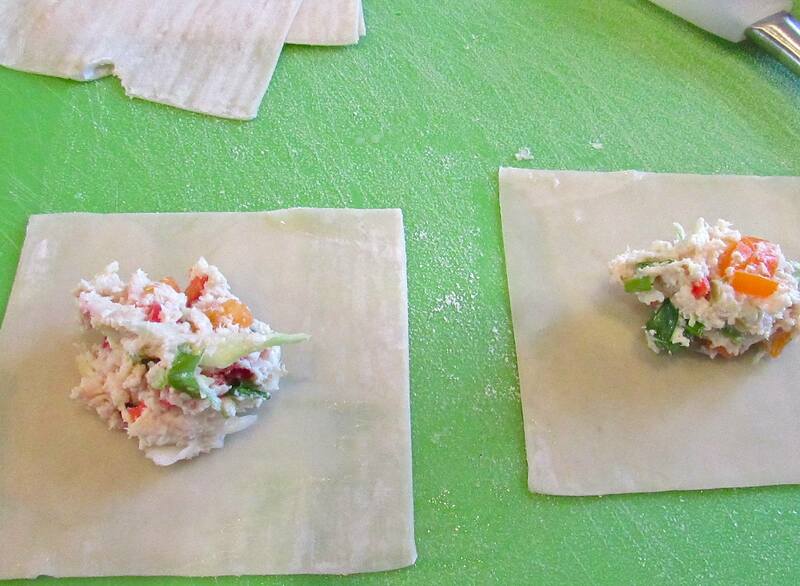 Place about 1-2 teaspoons of filling in the center of each wonton. 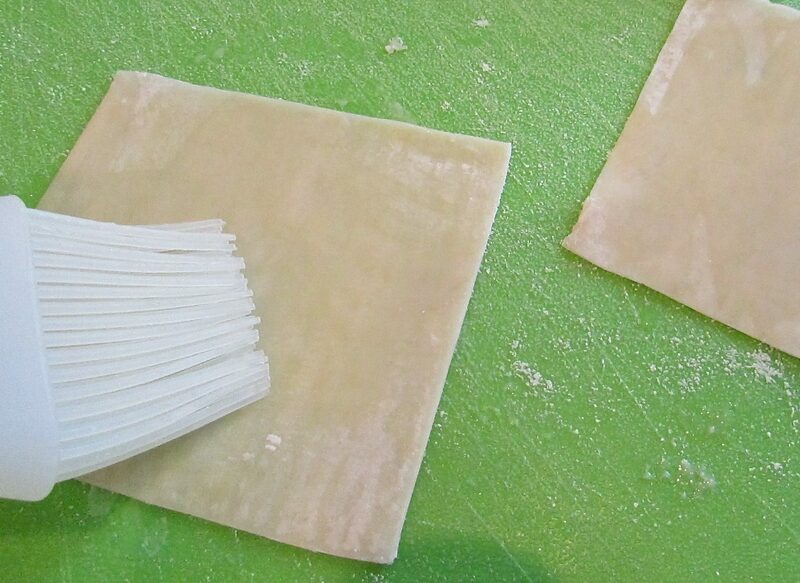 Fold the wonton skin over and press with a fork to make a pleated edge. Remove wontons to the parchment lined sheet pan. 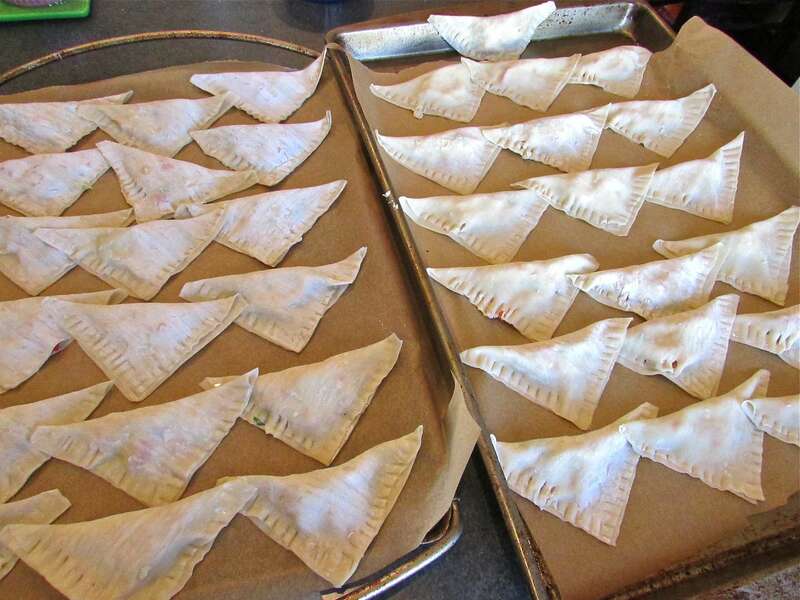 If room is warm, place in refrigerator as you make each batch of pot stickers. Repeat process until all filling is used. At this point you may freeze the pot stickers on the sheets, removing them to plastic freezer bags once they are frozen solid. * If not, proceed. Heat a large sauté pan and spray with cooking oil. On medium heat, cook 6-9 pot stickers at a time about 2 minutes or until light brown. Turn over and stir in ½ cup broth and 1 tsp of soy sauce. Cover and cook another 2-3 minutes. Remove the cover and allow liquid to evaporate. Remove to a warmed platter. Repeat with remaining pot stickers. 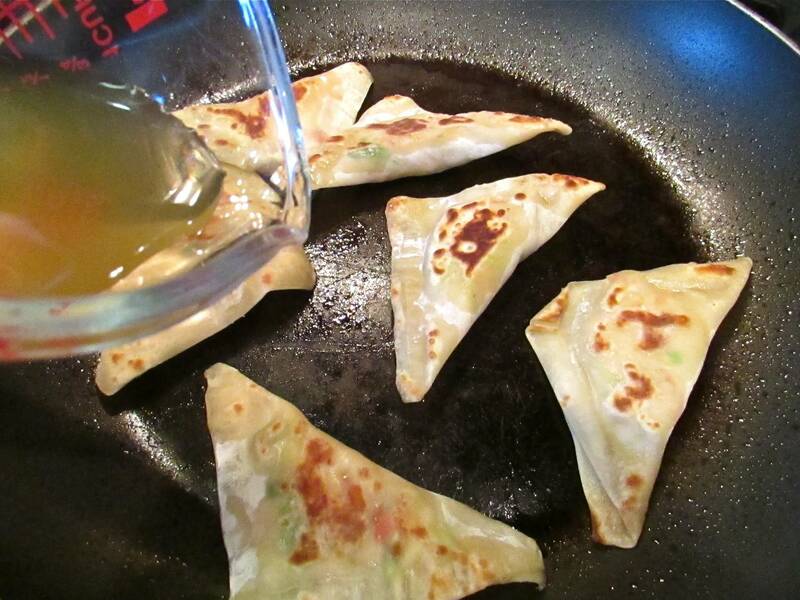 Once all pot stickers are cooked add 2 teaspoons soy sauce, 1 tbl Mirin and about 1 tbl broth back into saucepan. Heat about 20 seconds on medium and then pour over all the pot stickers. * To cook frozen pot stickers: remove from the freezer, place in a single layer on a sheet pan, and allow to defrost at room temperature about 20 minutes. Prepare as directed above.